Every day, thousands of people are injured or killed as a result of negligent drivers. If you or a loved one has been involved in an automobile accident, it is important to contact a personal injury attorney as early as possible. We can help you take the proper steps and make informed decisions during this difficult time and begin the process of contacting witnesses, obtaining police reports and preserving any evidence to maximize your recovery. Never admit fault to anyone, including your own insurance company. Many times the defendant in a personal injury claim will be represented by attorneys hired by the defendant’s insurance company. These companies often employ counsel experienced in discouraging a favorable settlement for you. That is why you need a highly skilled attorney on your side. As dedicated personal injury lawyers, we have your interests in mind and will work to establish liability and preserve your credibility. 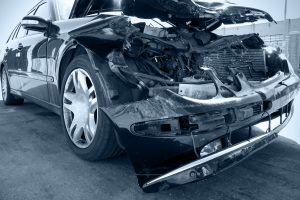 The Law Office of Cary S. Macy has represented countless victims of auto accidents and can do the same for you. Contact our Huntington Beach office today at (714) 813-5433 to schedule a free consultation with a highly skilled attorney.